After six days of physical labor on the Kiyuna Dairy Farm in Okinawa, my wife and I have earned a day off. Then it will be back to work for another six days as we complete our two week commitment of working on an organic dairy farm in exchange for two weeks of room and board. As nice as it is to have some time to not think about which animals need feeding next, we both felt a small sense of lost purpose as we left the farm this morning for Nago, the nearest city, for our day off. The day we arrived the weather was lovely, and we did in fact have a few days of sunshine, prior to a typhoon hitting the island bringing a few days in a row of horizontal rain and a lot of wind. This made staying dry during the day a challenge, both in terms of getting rained on during the day and in terms of keeping our clothes dry (there is a washing machine but no dryer). That said, practicing gratitude in the midst of working the rain wasn’t too difficult because the temperature was very pleasant. Being wet and cold would have made finding something to be grateful for less obvious. Over dinner one evening I asked Okasan about another aspect of Okinawan culture that I had read about – the moai, a kind of community support group, or mini social network, unique to Okinawa. I wondered how real, or at least how common, such groups really are. Turns out that both Okasan and Otosan are part of moais. Okasan’s group was formed by 8 ladies 40 years ago, and the same group continues to get together monthly. When their children were small they would get together in homes so the children could be watched, and the topic of discussions tended to revolve around kids and motherhood. 40 years later, the same moai meets at a restaurant (so that no one has to cook) and there is more talk about who is in the hospital versus the children! Interestingly, the moai also provides a financial support system. Members pay monthly “dues” which get distributed each monthly to the member who is deemed to need it the most. Quite a support system. I have a passion for BEING more in life. Being more happy, active and most importantly being more of one's true self. I am intent of living life to the absolute fullest - growing and contributing as much as possible each and every day. Professionally, I am a CPA and the family office services firm I founded in Singapore supports entrepreneurs in the areas of wealth management, legacy planning and corporate advisory. I am a husband, father, grandfather and recent 'empty nester', currently traveling the world with my wife of 20+ happy years on a 'Blue Zones'-inspired journey, visiting places with a high concentration of centenarians. Our Lifelong Journey! 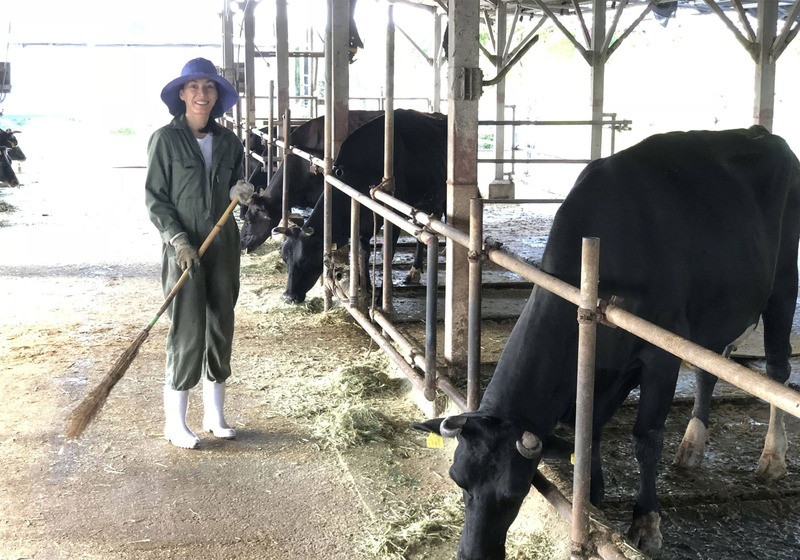 My Visit to a Cow Sanctuary.